I have finally managed to do #1 most of the time. I do the others as well, but #5 is the one I’m still working on developing. Another way to look at how we can change the way we listen is offered by C. Otto Scharmer in an article entitled How Are You Listening as a Leader? He lists four types of listening. By categorizing which one you need when, and knowing how to use all four, you will improve your leadership and develop better relationships. He calls the first one Downloading. At this level, what you are hearing is information you already know. It reminds me of so many faculty meetings. You can tune in with one ear while you plan the tasks you need to do once you leave the building. Of course, if this is how you are listening when a teacher or student is speaking to you, you will not connect the way you should so downloading should only be used when appropriate and not as the first one. The second level is Factual Listening. The focus here is on data transmittal, and we are listening for where what we are hearing confirms or goes against our expectations. In education, this kind of listening is likely to occur when the focus is on changes in scheduling and other areas during testing situations. Scharmer cautions that this is where we need an open mind and to not make judgments. For example, you may (rightfully) become angry at what will happen to your program during the days devoted to testing. Rather than be resentful, contemplate how you can make it work for your program (as long as you aren’t proctoring) and offer it as a suggestion to your administrator. 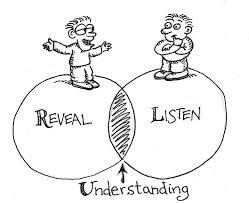 Empathic Listening is when we reach out to another’s person’s feelings. It’s at this level that relationships are built and your colleagues, student, and administrators come to trust you as a leader. By understanding and recognizing what is motivating another person, you are better able to understand their point of view. While you don’t have to agree with the view offered, this knowledge puts you in a better position to respond in a way they can hear you. Finally, there is Generative Listening. When you are at this level, you and others are creating. This is where innovation begins. You are ready to consider what is possible while giving others the space to come aboard and join with you. You are not enforcing your will or ideas, but rather collaborating as the best from each participant is allowed to be heard allowing the result to be far greater than you could have imagined. In the end, everyone has contributed to a project or program’s creation and success. Desire. Listening is such a bother. Ignorance. You might listen if you knew how. Time. Hurry up. The clock’s ticking. Energy. You don’t have the energy to listen deeply. Discipline. On a list of “hard things to do,” listening is near the top. 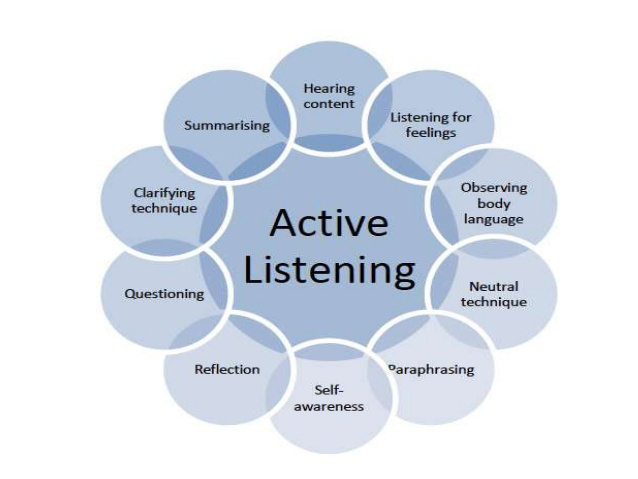 I am discounting #2 because I am sure you have heard much about Active Listening besides what I have just discussed. For most of us, #3 is probably the main reason. And after a long day, #4 takes over. You can see what a difference it can make in your program and the individuals you come in contact with, where so much of what we can achieve rests on our ability to build relationships. 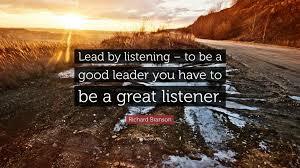 Listening and continually improving our listening skills deserves to be a priority. It changes our ability to be effective and impactful leaders. Thank you for the nice, gentle reminders on how to listen. I’m aiming to be a generative listener!